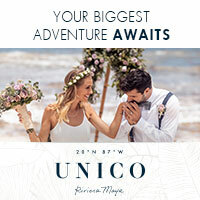 The best way to make sure you reach today's engaged couples considering the Caribbean for their wedding and honeymoon is to have your property on CaribbeanWeddings.com® . CaribbeanWeddings.com® is the only portal on the World Wide Web that is dedicated exclusively to Caribbean wedding destinations. CaribbeanWeddings.com® is the first stop for brides looking for the perfect place for their special day. CaribbeanWeddings.com® is the industry leader for information about the many destinations and Caribbean wedding resorts that comprise the region. The CaribbeanWeddings.com ® brand speaks with its customers. These brides and grooms provide us with their email, mail and phone contacts. We know the date of the wedding, the size of the wedding party, the budget for the reception, the number of rooms required at the resort, special requests and more. And we have their permission to contact them. The site is marketed under the theme "Love at First Site" ® which is a registered trademark of Caribbean Weddings, Inc. and this is what CaribbeanWeddings.com ® delivers. The visitors to our site continue to visit with us and interact with us from the time of their engagement to their wedding date and beyond. CaribbeanWeddings.com® is dedicated to being the industry leader for Caribbean Weddings by providing expertise and excellence through building relationships and creating brand loyalty. CaribbeanWeddings.com® does this by defining a unique niche market, achieving maximum exposure for locations by providing a superior website and national advertising and search engine dominance. CaribbeanWeddings.com® realizes that its success is dependent on its customers and, therefore, is committed to the happiness and financial success of its clients. The CaribbeanWeddings.com® Brand reaches 100% of engaged couples through its international affiliation with Backus Turner International, a 30-year old marketing, advertising and public relations firm specializing in travel and in destination weddings and honeymoons. CaribbeanWeddings.com® makes it economically affordable for all businesses to participate and reach this very lucrative market. Never before have such initiatives existed in the Caribbean wedding industry. CaribbeanWeddings.com® promotes weddings and honeymoons in the Caribbean exclusively seven days a week, 24 hours a day. Increase your business today! Join CaribbeanWeddings.com® and increase your business by advertising Caribbean wedding resorts and hotels! The bridal and wedding market represents a $161 billion spend annually in the US alone. Wedding couples are the perfect customer for travel and they are willing to spend more on their once in a lifetime event. 2.4 million U.S. weddings take place annually. An engaged woman is the most unique and desirable travel customer because she truly is the perfect customer. Engaged couples receive engagement gifts and wedding gifts during this period of their lives. The average expenditure for travel is $4,000, or three times more than the average leisure traveler. The average length of stay is 9 days compared to the average length of 3-7 days. The average combined household income is $62,000+. The average total wedding expenses are $24,000. The average U.S. wedding includes 200 guests. Only the wedding and honeymoon market delivers year-round travelers. No seasonal limitations: Marriages occur all year long. Of those who travel outside the continental United States for their honeymoon, 83% will go to a warm/sunny place. Top "foreign" hot spots: • Caribbean 27% • Hawaii 18% • Mexico 11% • Bahamas 9% • Europe 8% . The brides market represents $32 billion in retail spending. Couples buy a variety of items while on their honeymoon trip. Online travel spending in the U.S. was $28 billion in 2005. Thinking about getting married at one of our recommended Caribbean wedding resorts and hotels? Be sure to check out our bridal dress ideas to complete your dream Caribbean beach wedding.